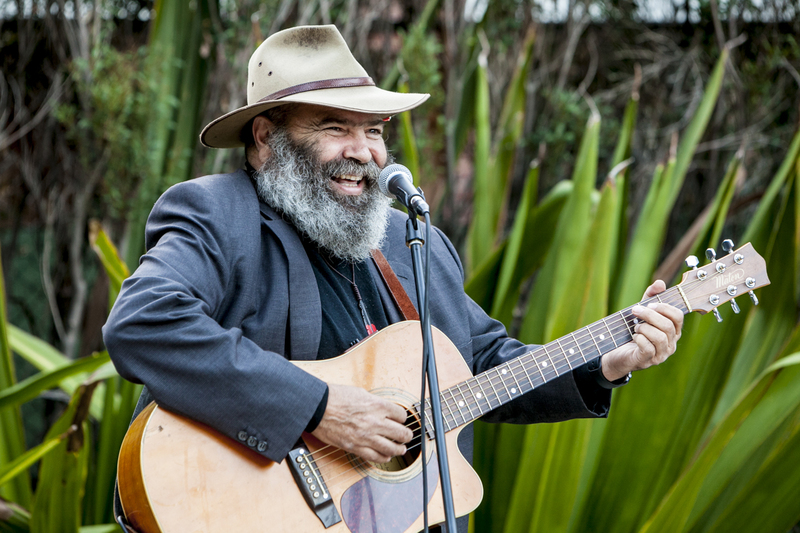 Associate Professor Richard Frankland is Head of the Wilin Centre for Indigenous Arts and Cultural Development at the University of Melbourne. He’s also a key figure in ongoing talks with the Victorian Government to establish a treaty or treaties to acknowledge the unique position of Aboriginal Australians, and a participant in the Victorian Government’s recently-launched Deadly Questions initiative. Hi Richard. Can you tell us about Deadly Questions – what is it and what does it involve? To me, Deadly Questions is like a massive cross-cultural awareness campaign. It’s an opportunity for non-Aboriginal people to ask questions they might be too afraid to ask Aboriginal people face-to-face, or maybe they don’t know any Aboriginal people to be able to have those conversations with. Some common questions might be things like, Why can’t we get over the past? Some people are asking whether we face discrimination; some are asking what “deadly” means. How would you explain the terms “cultural load” and “cultural safety” to somebody who’s never heard them before? Cultural loads are the invisible loads that people of other cultures or other social demographics carry. So, for Aboriginal people, it’s discrimination, it’s loss of language and culture. It’s also the fact we have the highest suicide rate in the world, that we have an incredibly high incarceration rate, and that we’re continually required to justify our losses. It’s about all the pressures from not having free and easy access to your culture, and – following on from this – “cultural safety” means being able to practise your culture free of ridicule or condemnation. Where would you say we are in terms of moves towards genuine meaningful reconciliation in Australia? I think it’s in every individual, it’s in every institution, it’s in every private corporate firm: we need to instigate change, and we need to unravel the social engineering of discrimination. Being involved in the ongoing Victorian Government talks around reconciliation is a wonderful journey to be on, as is seeing my non-Aboriginal colleagues going on that journey with me. I can’t be culturally safe until my non-Aboriginal colleagues are able to realise that this issue of “cultural abyss” is really about both of our cultures being left with a legacy – that is, 230 years of cultural clash. What are you excited about at the moment? What are you feeling motivated by and engaged with? I’m just starting to work on a film project with my son – we’re just at the very early stages, but working with him is something I’ve always wanted to do. I’m also working on some cultural capacity-building projects. I’ve been seeing my grandkids lots too – they’re educating me about total exhaustion. If you could change just one thing about the world, what would it be? Any man or woman who tries to change the world often needs to change themselves first. But I think I’d want to work out a way to get people to recognise the past, to plant seeds here in the present for future generations, which would affect change not just for me but for us, as a nation. I’d like to have Aboriginal culture and languages taught in every school and become second nature for every Australian. People should have a look at Deadly Questions, step across the cultural abyss, and have the courage to see the past. We all need to know that when we talk about these issues here and now, it’s for tomorrow’s Australians. It’s for our children’s children. Find out more about the Wilin Centre for Indigenous Arts and Cultural Development. Visit the Victorian Government’s deadly Questions website. Read Richard Frankland on Deadly Questions on Guardian Australia. Banner image: Associate Professor Richard Frankland at the Wilin Week celebration, 2016. By Jorge de Araujo.